1. 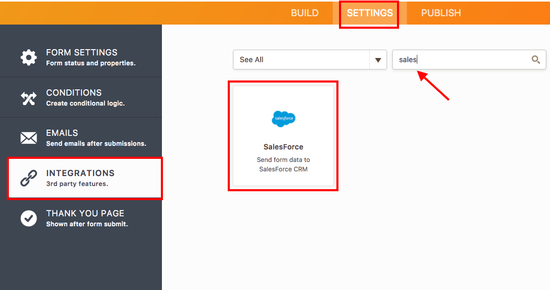 Click on Settings - Integrations in the Form Builder. Then select Salesforce on the Integrations window by filtering the dropdown field with CRM. 2. Next, enter your SalesForce account credentials. 3. Now, choose the type of data that will be transferred from the form. Use "Contact" for people and "Lead" for companies. 5. That's all. On the final step, you will be given an option for duplicate check entry. If you have any existing submissions in your form, they will be automatically forwarded to SalesForce. 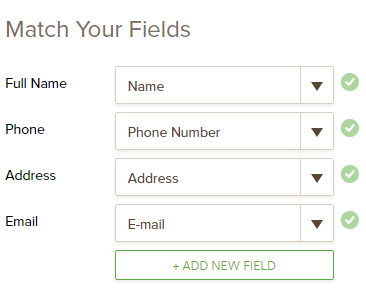 We are trying to make accounts by mapping a Account name to Company name but the field is not showing in Jotform for us to select is there a way to fix this. I've integrated a number of my forms into SalesForce. SalesForce asks me to change my password every few months - which updates my security token each time I change my password. 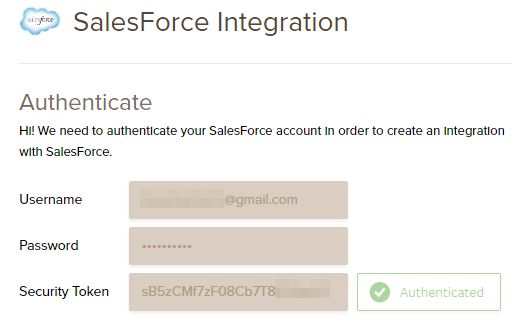 Now that I have a new security token do I need to update my previous jotform integrations with the new security token or will the old one maintain the original integration to SalesForce? We have a form that we continuously use so editing the integration with the new security token every 3 months is a tedious task. are there any other objects integrations availiable or only accoutn contact and leads.. IF you select Account for data to be passed to, how does Jot Form know which account should be updated? Does the jot form fields just update ALL accounts? If you select "Account" for data to be passed to, what is it matching to in Salesforce? Account Name? 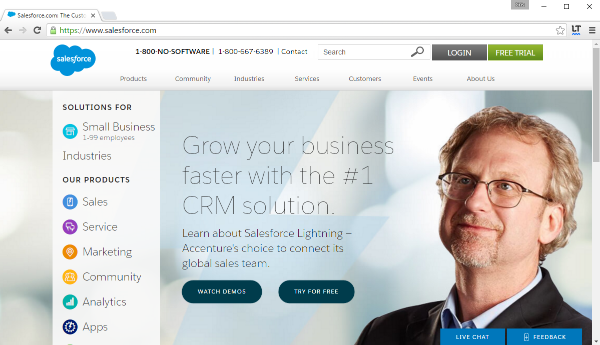 Can JotForm integrate with Salesforce Pardot? Why does it not integrate with any Oracle systems? 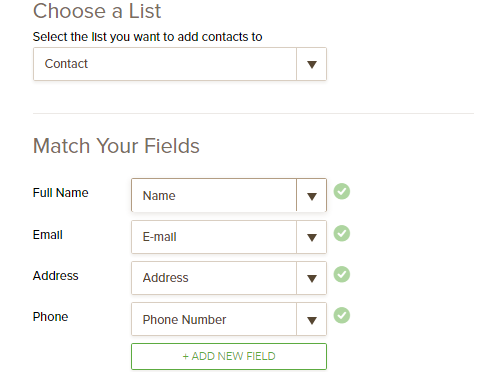 I need to be able to map fields from a custom Salesforce object (Planning) to a data collection form, that we can send to clients via a JotForm link. I am a potential JotForm customer, and need to make sure mapping to custom Salesforce objects is possible. Can you please confirm? The instructions above only show mapping to Contacts/Leads. Just wanted to add that I don't consider this very "Flexible." I like JotForm, which is why I have a paid account, but I also use ohter form tools that have better integration. I know Jotform is robust enough to deliver better integration so let's go for it. Please. This feature is so limited. True integration requires the ability to map to custom objects and fields -- to update, upsert and insert. Please roadmap real integration and let Jotform users know the status of this requested feature. 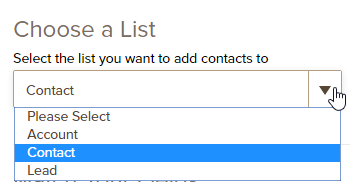 Is there any way to add criteria in the integration that tells Salesforce whether to create a new contact or to add information to an existing contact? Hi and I hope you're well! When jotform sends the data to Salesforce, is there any way to have it associate with a particular Salesforce "Campaign"?